Vipanchee Natyalaya, Chennai of which the founder-director is the legendary maestro Dr.M.Balamuralikrishna. "What Saraswati does not know is not worth knowing" are the words of the most respected critic Sri. Subbudu of Statesman, Delhi. She was an admirer and well wisher of Late Rev. Msgr. S.M.George, Founder of Kalai Kaviri for his trend-setting and innovative contributions, towards promoting Indian Cultural Art Forms. "I am a Bharathanatyam artiste working with Padma Vibhushan Dr. Balamuralikrishna for the past 20 years. I am greatly impressed by your (Rev. Msgr. S.M.George) achievements in establishing fine arts for enlightenment. I have many students who have dance schools all over the globe and many of them are interested in joining your Off-campus Degree Programme in Bharathanatyam. I also offer my services to be of any help to your venture." Dr. Saraswati, had her graduation (Geography Hons.) with a gold medal from Calcutta University, she continued her studies from Delhi School of Economics. She has a Doctorate from America West University, USA for her contribution to the fields of Music and Dance. he held important positions at Lucknow where she was engaged in many cultural activities. 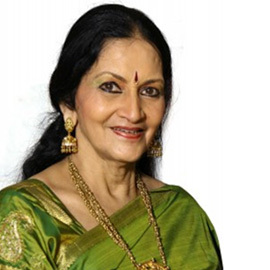 She has choreographed several dance ballets for the stage and for Doordarshan. As a Top grade artiste that she was, Saraswati performed all over India and abroad and conducted dance workshops across the world. She produced over 75 dance features and thematic presentations. Saraswati was honoured with several awards including the 'Kalaimamani' by Tamil Nadu government in the year 1991.